Donn Johnson (center) with Bumpers College Dean Deacue Fields (left) and Ken Korth, interim head of the departments of entomology and plant pathology, was recognized for 40 years service at the college's Faculty Recognition Reception. FAYETTEVILLE, Ark. 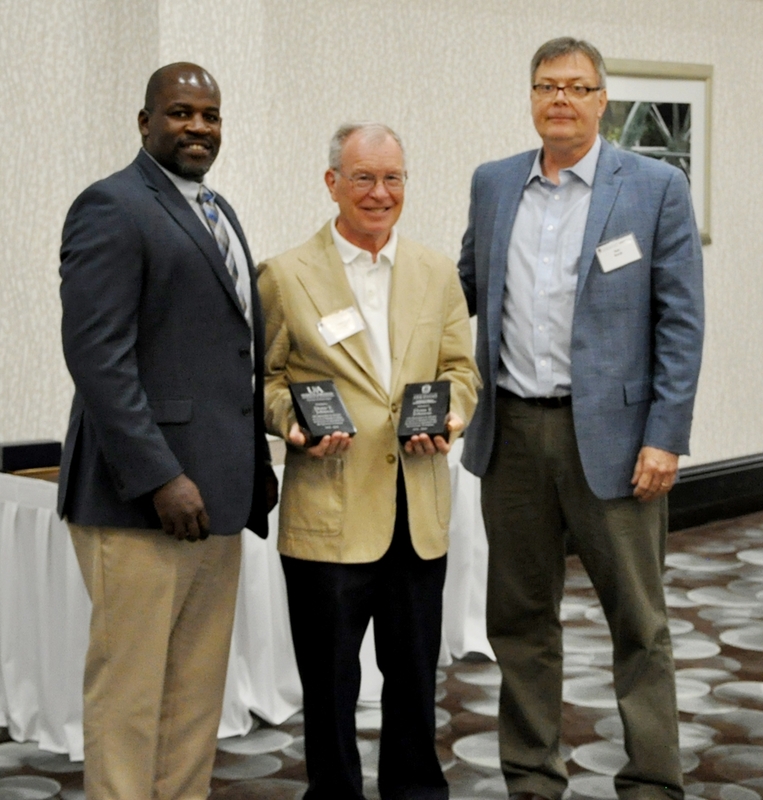 – Faculty members in the U of A's Dale Bumpers College of Agricultural, Food and Life Sciences were recognized with service awards at a reception on Sept. 20 at Fayetteville's Hilton Garden Inn. Dean Deacue Fields presented service awards, and Jason Apple was named the Outstanding Honors Faculty Mentor Award winner and Kathi Jogan the Outstanding International Education Award winner. Apple is a professor and Jogan instructor, both in the Department of Animal Science.